Saturday sees the 100th Tour’s first foray into the mountains (about bloody time too, I say). This year La Boucle is running clockwise and so the Pyrenees come first. On Sunday, stage 9 heads from Saint-Girons to Bagnères-de-Bigorre over quite a few Pyrenean passes, including the Col de Peyresourde. The main inspiration behind The Breakaway was a desire to ride my bike up the high-mountain passes made famous by the Tour de France. The art of climbing by bike has always held me in its thrall. I was (still am) a skinny chap, and so riding uphill was my forte, or at least I was better at it than most of my cycling peers. There was also a rather famous compatriot over in France providing inspiration (to me and many others). 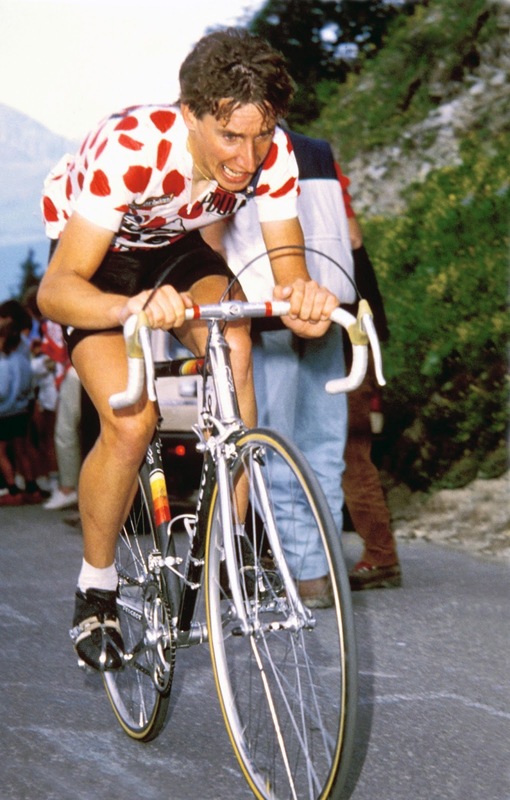 Robert Millar is the only British rider ever to have won the Tour’s King of the Mountains polka-dot jersey, a feat he achieved in 1984. In 1989, I was a sixteen-year-old riding my bike at every available opportunity. Millar was by then a 30-year-old, highly successful pro on the Z-Peugeot team. That year he won the summit-finish-stage from Cauterets to Superbagnères (which also included the climbs of the Tourmalet, Aspin, and Peyresourde), and finished the race in tenth place overall. I was a new convert to the joys of Le Tour and watched events unfold through Channel 4’s half-hour highlights programme, gazing wide-eyed at an exotic, exciting world, where men did battle on high-mountains passes with names like D’Huez and Marie Blanque. And in amongst all that exoticism was a Scot, a man from my own country — entertaining, awesome to watch and utterly inspiring. Millar was a great inspiration for a teenage boy to have. He was, and by all accounts still is, an enigmatic figure. He might have been Scottish but to me he was positively, exotically foreign. He didn’t seem to care what anyone thought of him, and rode with obvious passion and flare. His image certainly didn’t look out of place pinned to my bedroom wall with photos of the indie-music stars I was also idolising. Fast forward a few too many years and I found myself in the Pyrenees, celebrating what I had haphazardly, and half-jokingly, labelled Robert Millar Day. My friend and I were about to ride to the top of Superbagneres and the Col de Peyresourde in tribute to Millar. It was 40 degrees. I had the shits. I suffered horribly. And somehow it all felt like a fitting tribute. Millar almost made riding up mountains look easy. The reality, as I painfully discovered, was otherwise (see the short extract from the book below), and my admiration for the man increased several notches. Then, last Sunday, I found myself in Billy Bilsland Cycles, having wandered in there on the way back from watching the British Road Race Championships at Glasgow Green. I was hoping they might display a few flyers for The Breakaway. 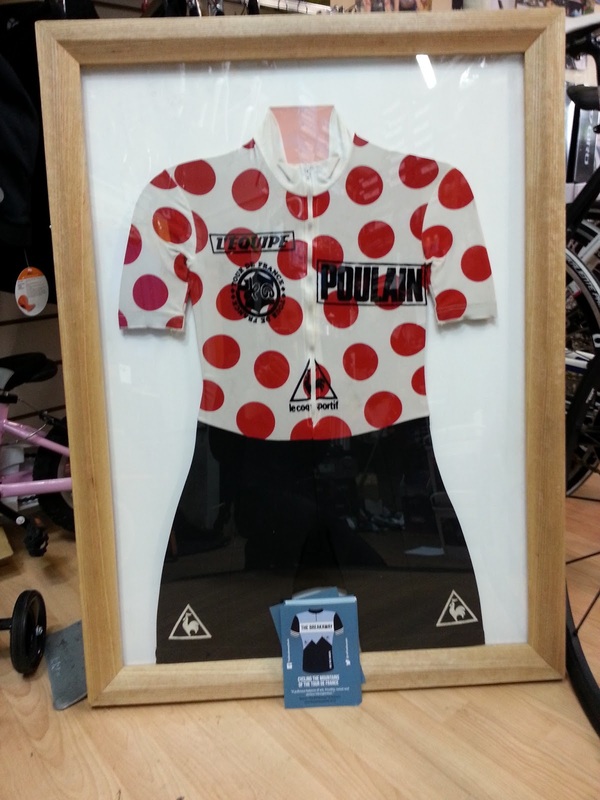 Come in, they welcomed me like a prodigal son, and come and see Robert Millar’s jersey. Given how reclusive the man is, meeting the jersey is the closest I’ll probably ever get to meeting Millar, and I kind of like it that way. They say you should never meet your heroes, in case they disappoint you (or you disappoint them). I’ll stick with the air of mystery, the memories of Tours watched on the small portable colour TV, the ardour and ecstasy (mostly ardour) of that Pyrenean day spent riding in Millar’s wheel tracks. To buy a copy of The Breakaway click here. One notion that I took away from the travels behind the story of The Breakaway was a sense that the climbs we had tackled were essentially the exact same roads the Tour peloton had been riding since the race first tackled the high mountains over one hundred years ago. The road surfaces had improved (tarmac laid onto the mud tracks of those pioneering days) but in essence the Col du Tourmalet I huffed and puffed my way up was the same that created the legend of Eugène Christophe in 1913, the same over which my hero Robert Millar led the race in 1989 (en route to stage victory at Superbagnères). Many of the climbs that the race will tackle this July will be the same sweet and savage roads I was lucky enough to ride during my own tour of France. On Saturday 29th of June the peloton will roll out of Porto-Vecchio on the island of Corsica for the start of the 100th Tour de France. Whilst a sprinter, such as Mark Cavendish or Peter Sagan, is likely to don the first yellow jersey, it will be in the mainland’s high mountains that the race overall is decided. On Sunday 19th of May, stage 15 of the 2013 Giro d’Italia will make a foray into the French Alps. The race was scheduled to tackle two climbs up which I soared (or was it suffered?) as part of my adventures in The Breakaway: Mont Cenis and the Col du Galibier. However, as of Saturday the 18th it appeared that heavy summit-snow and a risk of avalanches had resulted in both these climbs being withdrawn from the day’s itinerary. Had these climbs still been included then hopefully none of the riders in the Giro would have been as confused as I was by Cenis, nor as challenged by the Galibier. 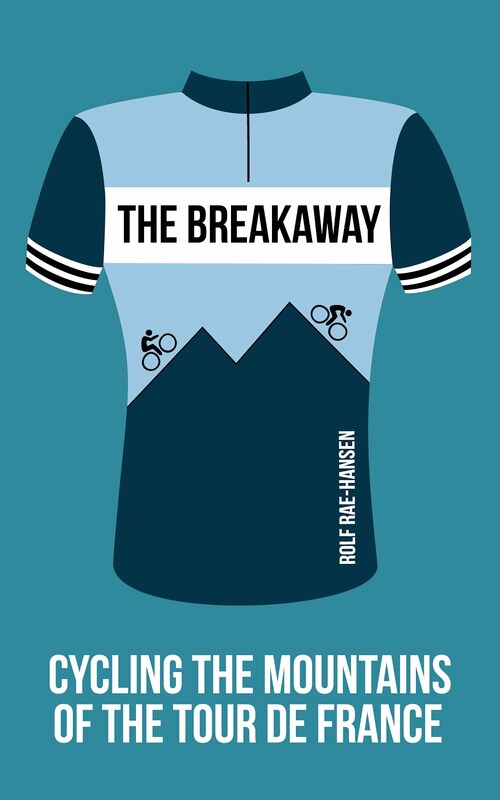 Publishing The Breakaway was a case of wresting victory from the jaws of defeat. One of the book’s sub-plots is the breakdown in my relationship with fellow traveler, “Drew” (as he’s known in the book). The trip wasn’t entirely to blame for the friendship’s failure but it certainly exacerbated, and opened my eyes to, differences that existed between us. Drew was my best friend and the end of the friendship was pretty depressing. It over-shadowed my opinion of our trip, and it took me a while (and a good deal of nagging from my girlfriend, Gaby) to come back around to the idea of publishing the diary as a book. As I say in the introduction, the mountains of the Tour de France and Giro d’Italia truly left their mark. They changed me, mentally, physically and emotionally (helping me to see through the grief I was suffering as a result of my father’s death from cancer). I’d watch Tours and Giros on TV and recognise (even indistinct sections of) the roads up which Drew and I had suffered and soared. Eventually time passed,the summer sunshine burnt away the cloud and I could more clearly see the positives. I took Gaby’s advice and returned to the trip diary. A read-through left me buzzing with pride, often laughing out loud, shedding a tear or two, amazed at what we’d achieved and pining to be back on the high roads of Europe. This, I realised, really is a story worth telling. And hopefully others will find that it’s a story worth reading. Click here to preview or purchase The Breakaway on Amazon (you can read it on a Kindle, or on a laptop, iPad, etc using the Kindle app).